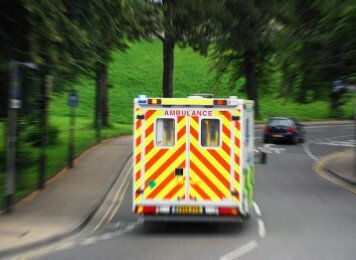 In July (2017) NHS England announced a new response programme for Ambulances and 999 calls following the largest clinical ambulance trials in the world carried out by Sheffield University. The new system aims to provide high quality care with the most appropriate response for each patient. Category 1 will be for life threatening calls which include cardiac arrest and serious allergic reaction. A paramedic will be required on the scene in 7 minutes. Category 2 will be for emergency calls which include strokes and burns and will require an 18 minute response time. Category 3 is urgent calls which will include late stages of labour and minor burns and should be responded to in 120 minutes. The East of England Ambulance Service NHS Trust (EEAST) has welcomed the changes and has claimed the new system will help ensure patients get the correct response time and a high level of care whilst maximising ambulance resources. “Since I joined EEAST it has been apparent we have a significant capacity gap that means we cannot respond to patients as quickly we would like in all cases. This gap also limits our ability to introduce more measures to improve staff health and wellbeing. Moving to these new ways of working will eventually lessen some of the pressure on staff and help provide the right response to patients, first time”.